Another Wednesday mean more games on the Arcade Marketplace! Check them out! 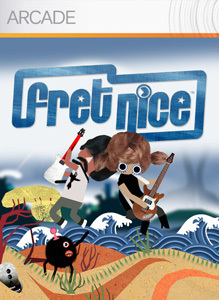 "FRET NICE™ is a 2D platformer that’ll rock your world. Control your character through funky-fresh stages to explore hidden areas, collect items, and clash note-for-note with outrageous, heavy metal bosses! Rock out by blasting enemies with riff combos and creating your own sounds with each “strum” of a chord!" "Why share when you can have it all? 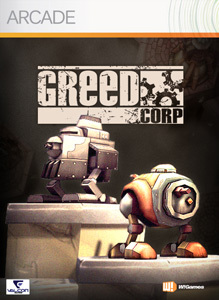 Greed Corp is an online multiplayer strategy game in which you battle for dominance over a world once rich in resources. In order to prevail, you must exhaust all remaining resources to build an army, and use the depleted collapsing terrain to your advantage. An extensive campaign mode and multiple unlockables prepare you to take the battle online." "Dr. Diggabone's getting too old for archaeological digs, or so he says. 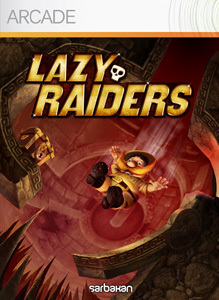 But truth be told, he’s just plain lazy… Unlock the Full Game and send the Doctor or your Xbox LIVE Avatar on a gravity-defying quest through 75 mazes by spinning and flipping the world. Beware those thieves, minions and traps, though. Without any challenge, you'd just grow lazy… and we wouldn’t want that, now would we? "